This taped & glazed assortment reveals what Eric Stearns pieces look like before they’re raku fired. The taped lines and accent dots act as masks to prevent glaze in those particular areas. The tape and dots are carefully removed before the piece is fired. 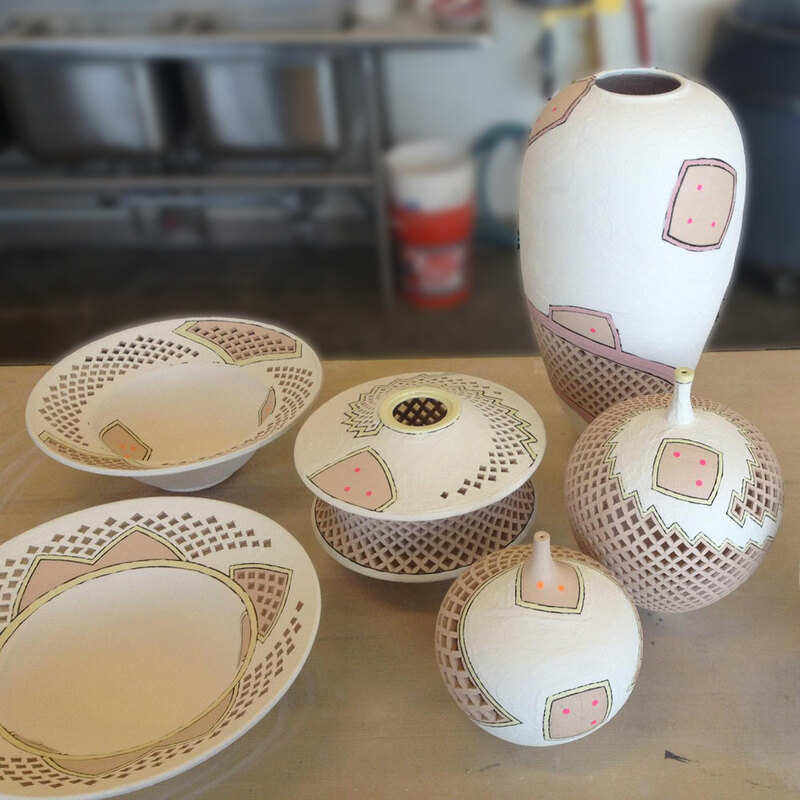 After the piece is fired, those lines will turn black from the smoke in the reduction chamber and create a dramatic break in the glazes.